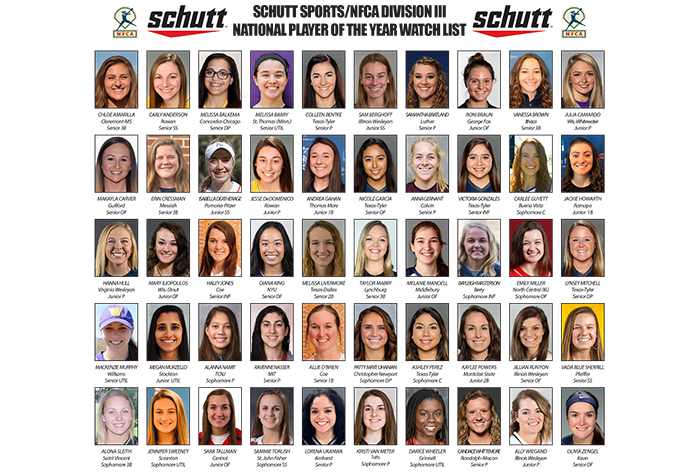 LOUISVILLE, Ky. — Fifty outstanding softball players have been chosen for the 2019 Schutt Sports/NFCA Division III National Player of the Year watch list, which will be paired down in the coming months, until just one player remains at the conclusion of the season. Twenty-six returning NFCA All-Americans top the list, including seven first-team honorees, 11 second-team selections and eight from last year’s third team. The remaining 24 members of the group all earned first-team NFCA All-Region recognition last season. The University of Texas at Tyler leads all schools with five players on the list, while national runner-up Illinois Wesleyan had three players chosen, and Coe and Rowan each had two players selected. Virginia Wesleyan lefty pitcher Hanna Hull, who has won the Schutt Sports/NFCA National Player of the Year award the past two seasons, is back on the list, as the two-time reigning national champion Marlins’ lone representative, while 37 other schools also had one representative. In all, there are 25 seniors, 14 juniors and 11 sophomores in the group. 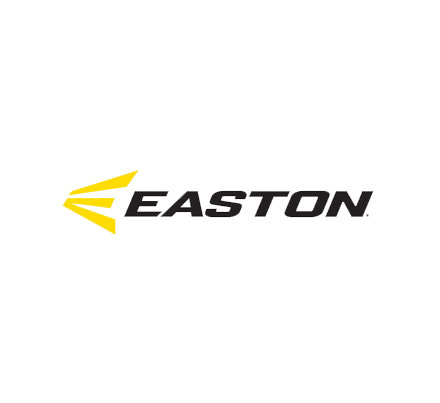 The list is compiled annually by the NFCA’s Division III All-America committee. The list will subsequently be cut to 25 and 10 as the season progresses, before the winner is chosen following the completion of the NCAA Championship. The list will be adjusted along the way to assure the best players are being considered, with the eventual winner coming from the group of 10 finalists. To view and download the full list, please click HERE.